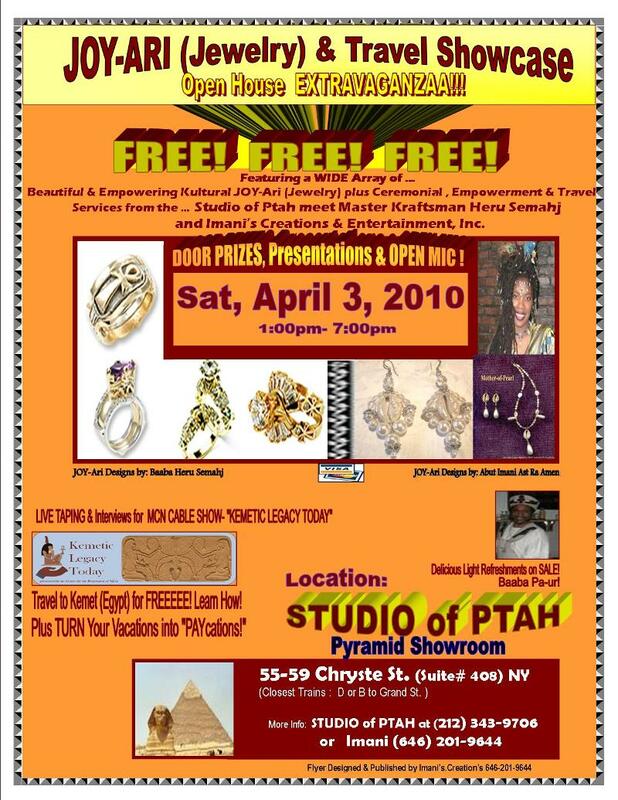 Imani & Snr Semahj JOY-ARI (Jewelry) & TRAVEL Showcase at the STUDIO of PTAH! JOY-Ari (Jewelry) & TRAVEL Showcase! Door Prizes, Presentations & Open Mic! Problems Reading Above? Here's More Details in Text Below! 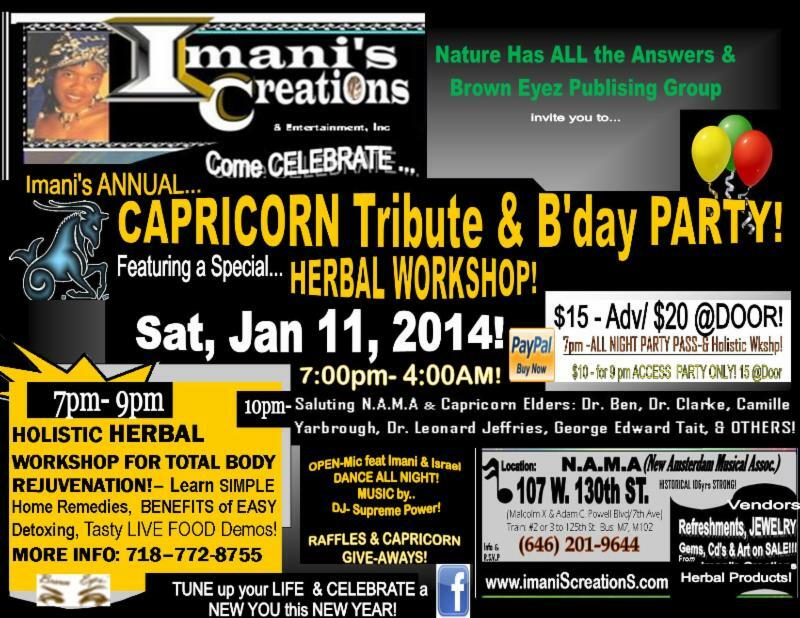 Directions: D or B Trains to Grand St.
Special Theme: Spring & Bridal JOY-Ari & Launch of Leisure Services! 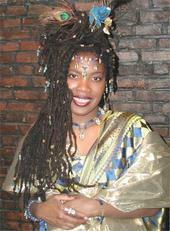 LIVE TAping for Cable Show- "Kemetic Legacy Today"
TRAVEL to Kemet FREE!!! Learn HOW! Turn Your Vacations into PAYcations! 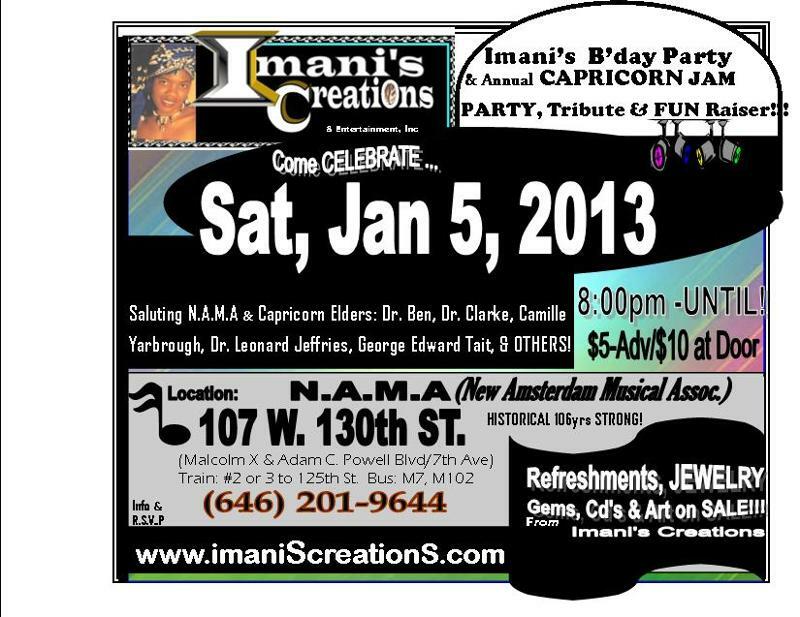 Imani's Creations, Entertainment & Leisure Services. all with the purpose of Empowerment!